This week’s article looks at how the phrase “For his name sake” brings hope and help in desperate situations. 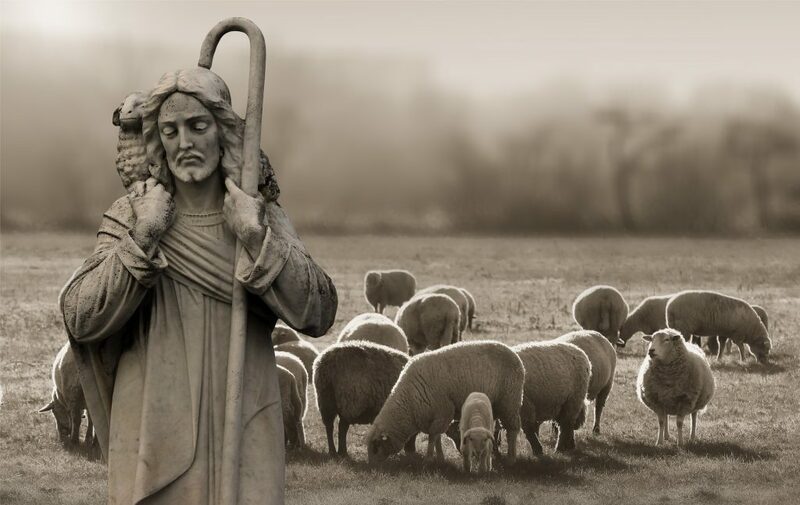 To see how the phrase “The Lord is my shepherd” brings comfort and care to sufferers you can read part one here. I am 61 years old now. When you get older, you tend to reminisce and recall things from the past. One way to do that is to bring back the good ole days. If you are a believer in Christ, you should remember the ways God has been good to you over your lifetime. If you look and revisit your past in your mind’s eye, you will give praise to God for who He is and what He has done for you in Christ. If you put yourself as a child of God into the shoes of the “sheep” in Psalm 23, you will have great delight and have gratitude for your Great Shepherd Jesus Christ. You will be proud of your Shepherd. Your words, actions and heart will redound with words like “the Lord is my Shepherd.” You will talk about your Shepherd like the redeemed sheep do in the psalm. You will also give praise to your Shepherd for how and what He provides for you. Psalm 23 also reminds me of how dependent I should be toward Him. As I get older, I am reminded of death and disease. People older or ones my age are dying around me. They also struggle with diseases. Invincibility that was there in our youth has died. What this should do is to drive you away from the fleeting things of this life to your eternal reward of being with your Great Shepherd. Also you should recall like the redeemed sheep in Psalm 23 how good God has been to you in the here and now. Now, you may ask: “Why does God do all this?” “Why reveal His word and send His Spirit to lead me in paths of righteousness?” The answer is: “For His name sake.” This should be obvious: God does everything for his own glory and you need to bring your life into the alignment with that goal. You are to think and live pleasing unto Him not yourself (II Corinthians 5:9, I Thessalonians 4:1-2). God does everything in your life “For his name sake.” This means God takes you through good and bad times for His name sake. His leading you in the paths of righteousness is walking you through the valley of shadow of death, preparing you a table, leading you beside still waters and restoring your soul. This is done all for His name sake. Everything in your life is about God getting the glory! It’s about God becoming famous, not you! It’s about God becoming famous for His heavy character. Did you notice the enemy’s presence and power are not removed from the scenes in Psalm 23? “For His name sake,” He is there with you through times of danger, disaster, despair and death. Is this not the lesson we take away from Lazarus’ death? Jesus said to his disciples and you about grief and death: “It is for the glory of God, so that the Son of God may be glorified through it.” How many funerals today have become times of celebrating one’s life rather than seeing God being glorified through a believer’s life! Another lesson you can learn from the phrase “For His name sake” is this: God uses good and bad times for His name sake. This is known when you realize the enemies of Psalm 23 are not taken out of the Christian’s life. David the author of Psalm 23 thinks of the lion and the bear lurking in the background always wanting to take advantage of the sheep. God uses imminent danger in David’s life and these words to stiffen his courage against Goliath: “The Lord delivered me from the paw of the lion and from the paw of the bear.” Or what about these words, “For the battle is the Lord’s.” Like David in dangerous and difficult circumstances, you can exercise faith in God and do all of it for His name sake. In II Corinthians 12, Paul tells us how he faced suffering and pain. He tells us of his visions and revelations of the Lord. He also tells us about being caught up to the third heaven and to paradise. Why does God do this? To keep Paul from boasting in revelations He had. He gave Paul a thorn in the flesh to keep Paul humble. We do not know what that thorn in the flesh was. We do know this thorn in the flesh was to keep Paul from pride and for him to learn God’s power made perfect in his weakness. Paul ends II Corinthians 12 by saying: “For Christ’s sake, then, I am content in weaknesses, insults, hardships, persecutions and calamities.” Again everything in your life as a believer is done for Christ’s sake—for His name sake!